AMS-IX is a member-based, neutral and independent Internet Exchange. Apart from the day-to-day technical operations of the technical platform, AMS-IX also builds and fosters good relationship with the internet community at large. With our community talks we give members and customers of our community a platform to vent their ideas and where they are working on. With our second community talk, we visited Edwin Kennedy, CCO at The Datacenter Group (TDCG) to talk about their business, recent acquisitions and projects that are in the pipeline. Q: Edwin, many thanks for the warm welcome. Could you give us a bit of insight in your business and your recent acquisition? Yes, sure. Before we jump to our recent expansion in the Netherlands. Just a few words about TDCG and our business. We are a 100% Dutch business, founded in 2007. Our core business is to serve a variety of cloud and hosting providers, large businesses, and government institutions by housing their IT infrastructure and ensuring a 100% uptime. For example, we form a basis for public transport, electronic payment traffic, medical procedures, dike monitoring etc. Ambition is a term that best describes our business. Our BHAG (Big Hairy Audacious Goal) is to be the largest Dutch datacenter player in 2025, with 10 locations spread out over the country. We reach this goal by growing fast and realising takeovers of other data centres. Besides we would like to expand our business abroad. A first step in reaching this goal, is expanding our business to Eastern Europe this year. Q: Let’s go to your latest acquisitions and what was the reasoning behind it. 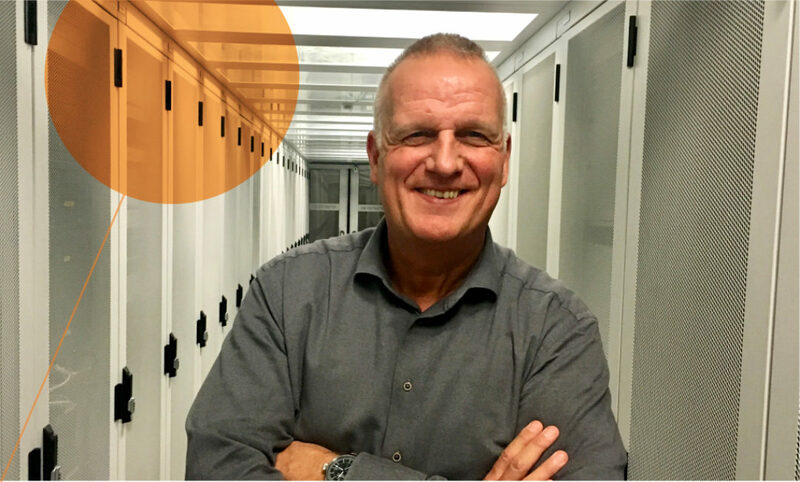 We have recently acquired two additional Tier III data centres in the Netherlands. One in Rotterdam and the other one in Utrecht. Combine this with our existing data centres in Amsterdam and Delft and we have got an infrastructure in place which covers the four largest cities in the Netherlands, their surrounding areas and businesses. This also includes important financial, logistical and connectivity hubs. Thanks to these two acquisitions, we have managed to become the largest 100% Dutch data centres provider. In the years following, we would like to expand our nationwide network of sustainable data centres. Maintaining our Dutch identity is very important to us and our clients. For many Dutch businesses it is important to fall under Dutch law regarding data protection compliancy. It also gives companies more control over their vulnerable data. We are constantly optimising our product and service portfolio. Our goal is to act more as an advisor at the beginning of the journey to the cloud. On the one hand TDCG is the ‘landlord’ of the cloud, because large cloud providers make use of our data centres and connectivity (with, among others, a direct connection to the AMS-IX). On the other hand, TDCG supplies colocation to companies that want to combine their own equipment with a public or private cloud solution, like hospitals or educational institutions. It is very important to provide useful and objective advice in building the right cloud strategy or tailor-made solution. Q: Could you elaborate a bit more why this is important. Our vision and reasoning behind it are based on market developments, information and demand. Our clients include care institutions, governmental bodies, banks and insurance companies. For them it is important to keep their vulnerable data under the European General Data Protection (GPDR), and in many cases explicitly on Dutch soil. Moreover, we see that future and recent technological developments have an impact on our business. There is more and more demand to securely access and process information real-time. For us, this means that we need to offer secure and low latency connectivity, but also move closer towards the source. And for that part, we see an important role for regional (or what we call near-premise) data centres. Information and data needs to be processed real-time. With our recent acquisition we are prepared for these requirements. Q: Is there a tangible example which you can mention. For many of our clients, like Erasmus MC, ANWB, and Brand New Day, it is important that their data are nearby. Because we have several datacentres within the Randstad, we can ensure our clients that there is always a data centre close to them. The Datacenter Group is the largest provider of 100% Dutch datacenters with locations in Amsterdam, Delft, Rotterdam and Utrecht. Between its carrier- and cloud-neutral TIER 3 datacenters, The Datacenter Group maintains its own network of redundant fiber-optic connections. Since its origin, all datacenters have realized an uptime of 100%. The datacenters are innovative and use green and sustainable solutions. Our customers, who have remained loyal since the company was set up in 2007, are proof that we put great value in the agreements we make. We serve customers from different sectors such as healthcare, IT, financial and (non) governmental. The Datacenter Group is affiliated with the Dutch Datacenter Association, is a certified AMS-IX partner, and has achieved the following certifications: ISO 9001, ISO 27001, ISO 14001, NEN 7510, and PCI DDS.